Even if you know of Old Town's famous "Spite House" on Queen Street, did you know that it's not the only one in town? 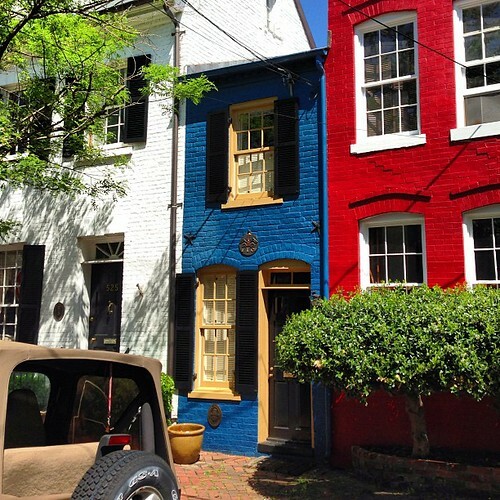 Though Old Town Alexandria is full of stately historic homes that leave many visitors impressed, one of the most famous, or perhaps infamous home's in Old Town's historic district is well known for its demure size. 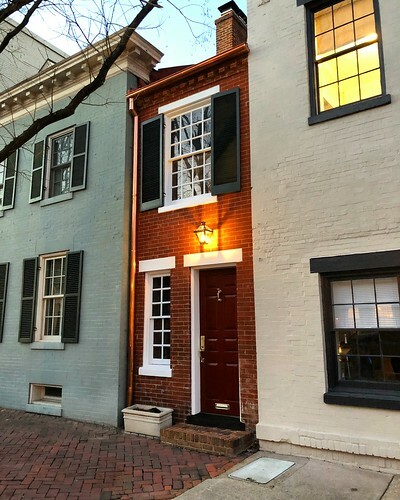 At just over seven feet wide, Old Town's "Spite House" has been featured in magazines, books, newspapers, and on TV shows as the "narrowest home in America." 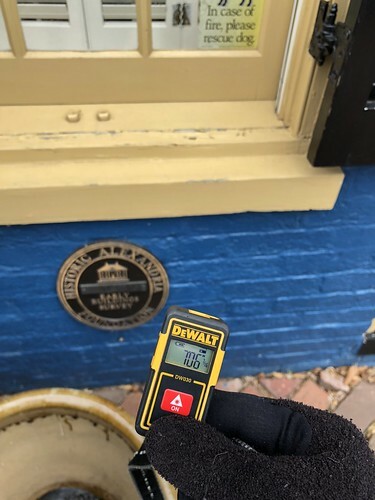 As well known as this home is, even by Oprah, would it shock you to learn that it's really not that uncommon in Old Town Alexandria? Yes, it's true. 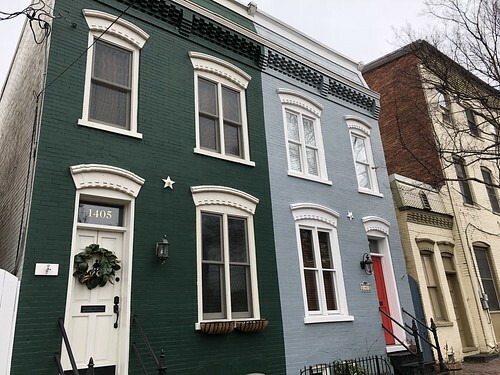 While most assume there's just a single "Spite House," in reality there are at least four historic houses in Old Town that fit the bill as a spite house, or alley house. The story behind these homes may actually be far more related to practical usage of space than they are centered around an owner's spite. 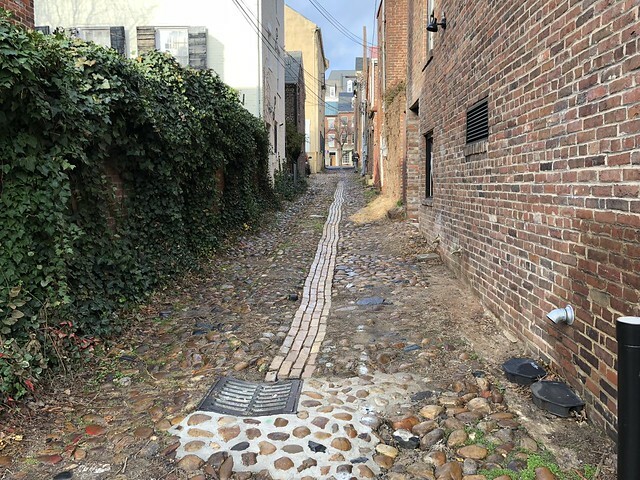 You just have to remember that old alleys of Alexandria often looked like the few originals that remain. ..it just seems like a great lesson in efficient construction if you ask me. But the spitefulness of the owners does make a much more intriguing story. 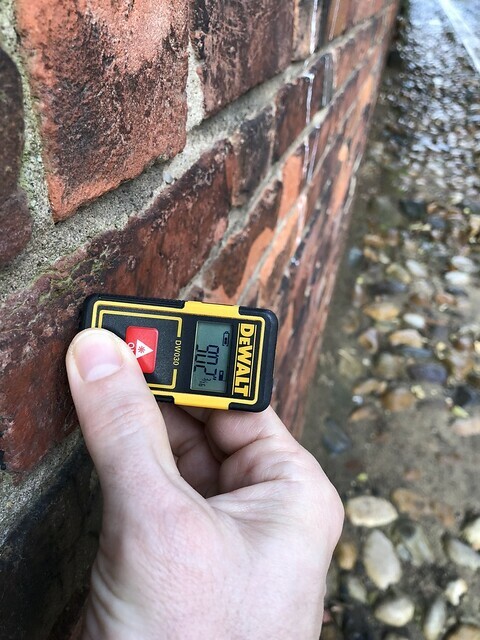 In our due diligence in covering Old Town's lesser known details, we went out armed with our laser distance measurer to see how each of these houses apparently built out of "spite" stacks up in the width department. Most importantly, is the most well known of the houses truly the narrowest in town, or is there another that should be the true claim to this fame? The main thing that you have to remember, this scientific assessment is surely 100% accurate...because we used "lasers." 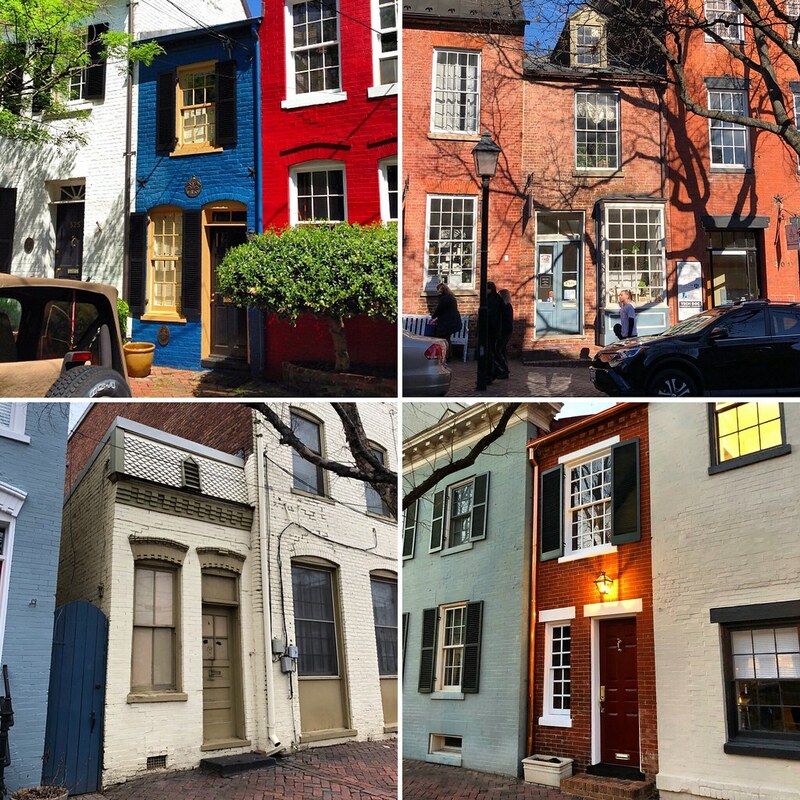 Let's take a quick look at all of the spite houses we've discovered in Old Town, and how you can see them yourself if you're in the area or visiting. 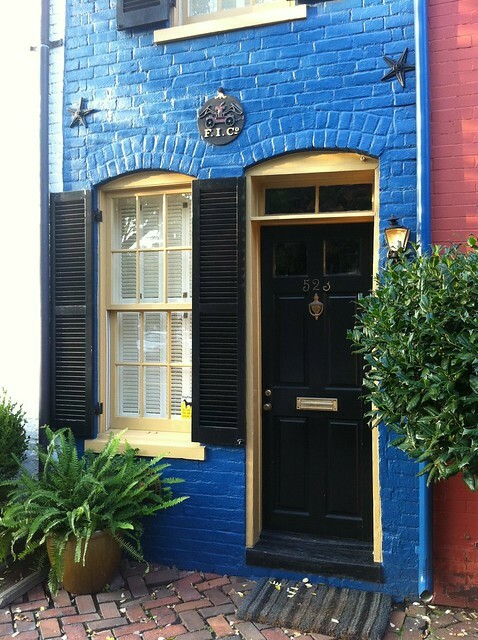 205 King Street - The Original Spite House? This first building we'll look at is believed to actually be the oldest of the bunch, built in the late 1700s or early 1800s. 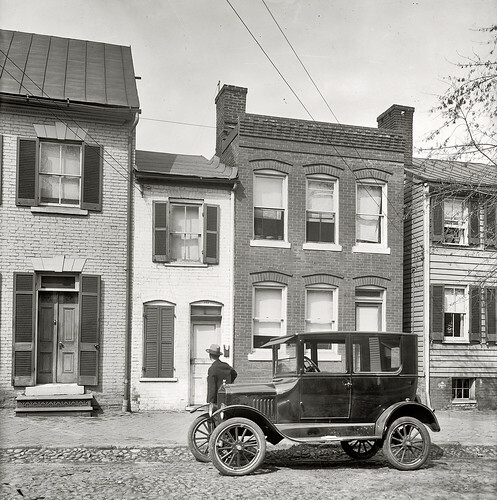 It's rare since alley houses were more typical of the late 19th century. But it's also one that you can easily go visit inside if you'd like, and it happens to be the widest of all of Old Town's spite houses, at a whopping 11' 9". (Our house is only 15' wide, so it's essentially our home without the hallway.) 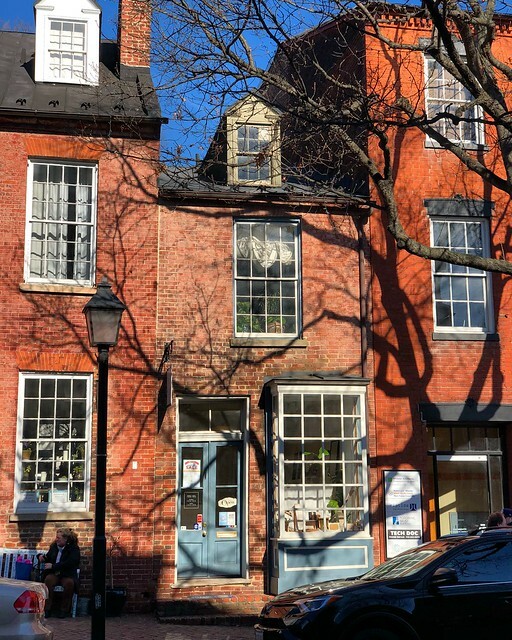 At that width, there are other area homes narrower, but what makes this house suitable is that it was built in the alley between two structures, even though the timber frame building on the corner was replaced by the current masonry building in the 1850s. Today this building is one of the well trafficked shops in the 200 block of King Street, so if you are eager to get an inside look at one of the houses in person, this is your chance. But in the past it has served many other purposes, from a family's home to a cobbler's shop around 1912. 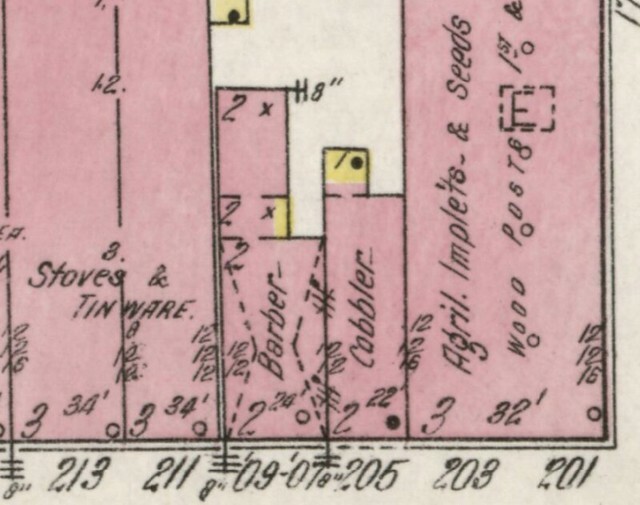 1912 Sanborn Fire Map of the building as a cobbler's shop. 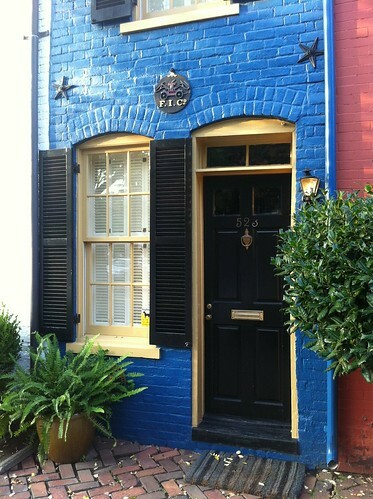 This is also the last of the four spite houses we discovered in Alexandria. We'd lived here for many years and heard that there were four alley houses, but we'd only been able to find three. One day, while eating some ice cream at the shop across the street, it occurred to me that this store that we'd seen a thousand times before was actually likely built in the alley of two buildings. Today it's difficult to tell the history as the same company owns the neighboring property and it's been lumped together, but this structure fits the bill of an early alley house with a door and window on the first floor, a single window on the second floor, and a dormer in the attic. The next home we'll look at is the one that most surprised us when we discovered it. 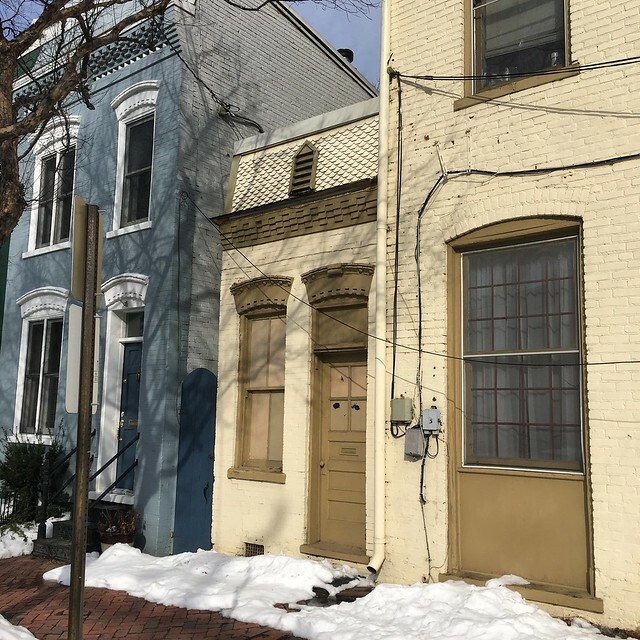 Painted in the same color as the neighboring building, the tiny one story brick building with a small fish scale mansard roof is adorable with a ton of potential. It was likely built shortly after 1912 (though the tax record suggests 1900) and mimics the style of the row of six houses built immediately to its left. 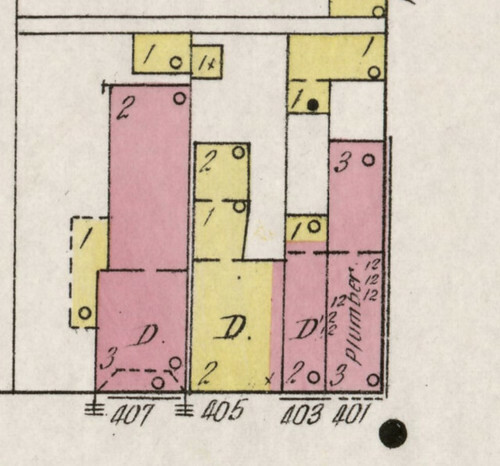 Given the similarities in design and masonry, this single story variant of these Victorian homes was likely built all at the same time, almost as a "Mini-Me" representation of the others. 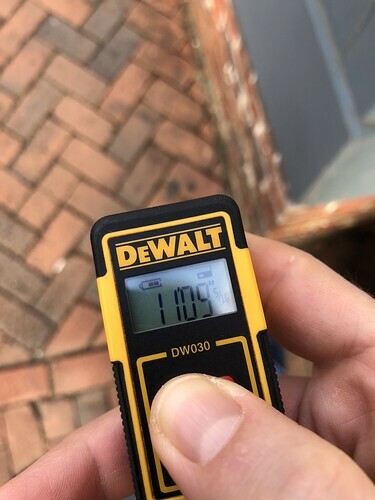 Today it has become a part of the neighboring building that was built much earlier, but it doesn't defeat the fact that it originated as an alley house addition to the neighboring building. By 1921 it was listed as an office of the building on the corner with a doorway between. 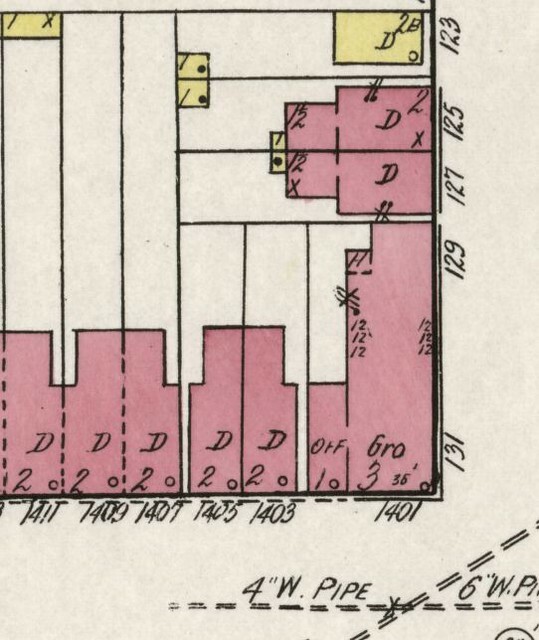 1921 Sanborn Fire Map of the house. 1912 Sandborn Fire Map of the house. At just one story, and with a small space between it and the house to the left, it's by far the most unique of the alley houses in town. 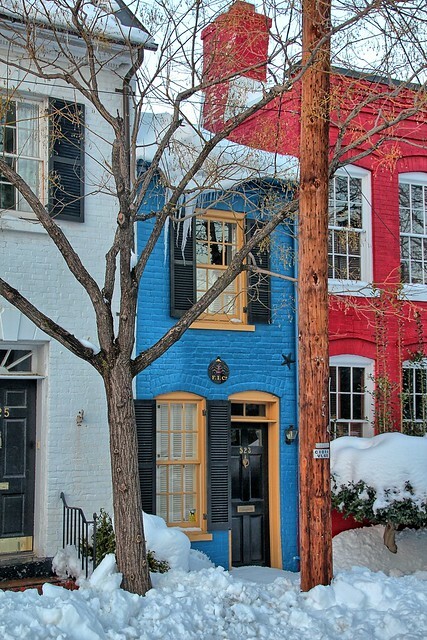 But its most important measurement in the Spite House battle is its width. At just 8' 2" wide it is rather small, but it is not the smallest of them all. I would love to get a look inside this little building to see if it stands on its own or if it's now a part of the neighboring building. My guess it that it's used for storage, but it could easily be part of today's tiny house revolution given it's stature. 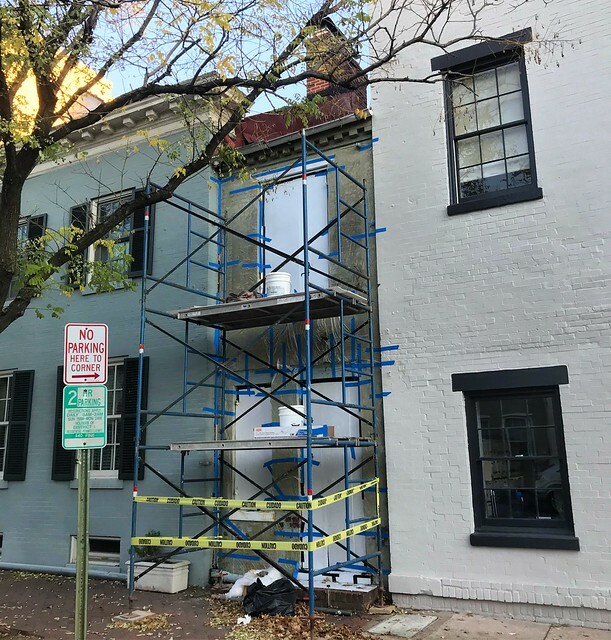 Personally, I think it would be cool to open it as a small walk-up ice cream or coffee shop called "The Other Spite House." ...until large scaffolding was erected in front of the home. 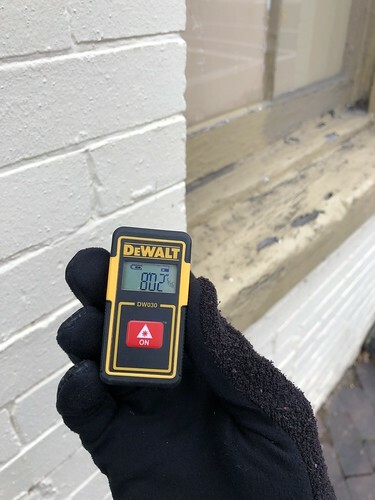 Over the next several months masonry specialists worked to strip the home of its paint and repoint the old mortar. Recently completed, the home now sports natural brick, white trim, black shutters, a red door, and beautiful copper accents by way of the downspout and new Bevolo light. With a whole lot of effort I'd go as fas as to say it's not only a star of its block, but it's also officially my favorite spite house. According to city records it was built around 1800, but this isn't believed to be correct. It was likely built shortly before 1883 when there's record of the owner, Samuel H Janney bequeathing the neighboring three story house and the two story brick house to his son, Henry. 1912 Sanborn Fire Map of the house. But how does it measure up with the other spite houses? The tale of the tape, errr, laser is just 7' 9". It's pretty impressive that this home at only 7' 9" wide still boasts just over 600 square feet of living space and a 240 square foot unfinished basement. When it comes to spite houses, I'd say this one is the most surprising for how spacious it is on the inside, given its outside presentation. Tourists gawk in front of this home and use it for photo ops, arms held out wide to show just how narrow the home is. It's known at the "Spite House" due to the legend that it was built out of spite to prevent loiterers, neighbors, or carriage traffic. But the true story for why it was built is actually unknown. We wrote at length about the tales we've learned over the years regarding the construction of this home and shared them in a blog post dedicated to this individual Spite House. Our favorite story is that the owner of the neighboring house, John Hollensbury, a mason, built the home as a sort of playhouse for his daughter to fill in land that he owned. Built by the owner of the neighboring property in 1830, over the years this house has stood alone and has been a part of the home to its left. 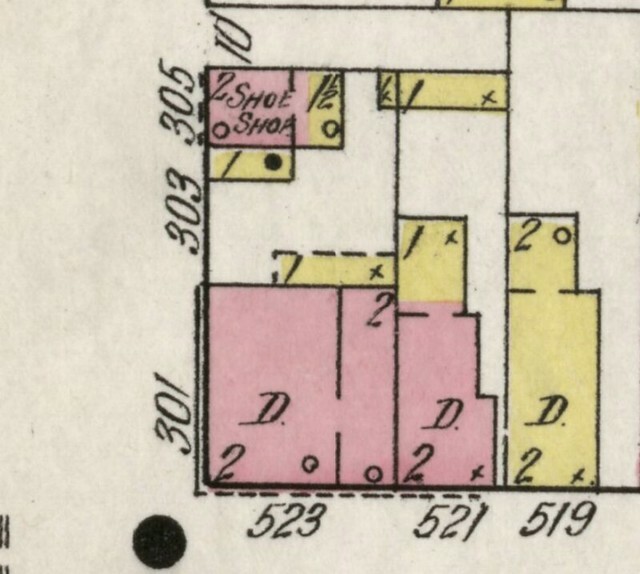 In the 1912 fire map a doorway is clearly shown between the two houses, and they are all located on a single property parcel. When it was finally separated as a home of its own, it required the house's address on the corner to change from 523 to 525. So what does the tale of the tape look like for the house given the title of "Narrowest Home in America" but Ripley's Believe it or Not? 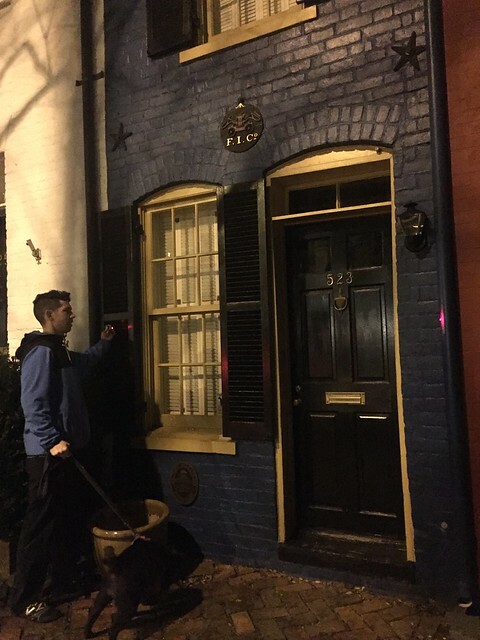 Measuring the Spite House, covertly under the cover of darkness. 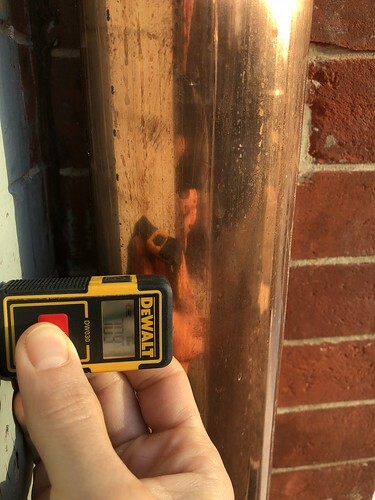 We took our fire measurement at night but then followed it up during the day to get good photo evidence of the tally. We measured from the change in paint color on the left, to the side of the blue downspout on the right (since the downspout is actually leaned onto the neighboring house). We wanted to be absolutely sure we were getting the right measurement. Our laser distance measurement came in at 7' 6", a full three inches narrower than the little house on Prince Street. But on the inside it's much smaller, just two stories, 480 square feet, and no basement. Talk about close quarters! Well, obviously it's us for getting to enjoy a whole bunch of tiny houses from a bygone era. But as far as the houses go, the Queen Street Spite House legitimately retains the crown as the narrowest house in Alexandria's Spite House battle. From an outside measurement the house is just three inches narrower than the nearest competition. I wasn't able to measure the interior, so the debate is still up in the air on that one. 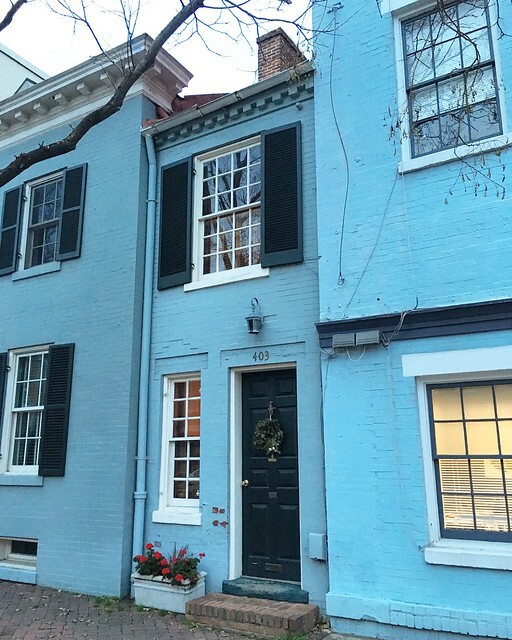 We've put together a map of Old Town's spite houses in the event you want to check them out for yourself. Would love to see any photos you take of the houses. If you post them on Instagram be sure to use the #oldtownalexandrialleyhouse hashtag. We hope you've enjoyed our little Spite House recap of Old Town's narrowest houses. We'd love to hear which one is your favorite of the bunch. Even better, which one of the houses could you see yourself living in? LOVE this post. I have wondered about the updated house on the 400 block of Prince and never recognized the one on the 1400 block. I especially appreciate the old photos and surveys....so cool. I need to go to the library to check out the 1885 maps to see if they offer any additional insight. Us too! Might have to do a little door knocking. I love when you do posts about Alexandria. I feel like it makes it more like you live where your house is, instead of living in the house. (Honestly, some blogs, you have to wonder if they ever leave the house to do anything other than browse Home Goods). I love that you share your interactions with your city with us. Our house and what makes us love living in it is tied so tightly with the fact that it's in this wonderful town of ours. We love sharing what makes this town so special and feel like it's a great secret and jewel that the DC area has to offer. So glad you enjoy following along. 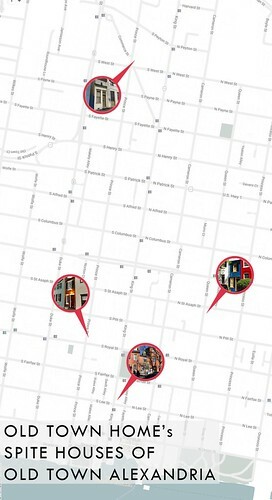 We have two more general walking tour posts still to do, probably this spring. I'm impressed by the shutters that actually fit and look like they close. It's an important character defining feature that often gets lost over time. This is so very important! It's such a pet peeve of mine when shutters are screwed to the house, mounted with slats the wrong direction, or if functional, wouldn't actually close to cover the windows. They are a delicate feature though, and often fall victim to poor maintenance. I've also been fascinated at 303 Franklin. Not a spite I guess but it looks to be about the same width as some of this. I've always looked at that house and found it rather odd that way it's sort of hung off of the back of the place on the corner. There's another place at about 305 Franklin that is rather tiny, at only 400sqft, but it's also not an alley house. These must have such interesting stories attached to them. 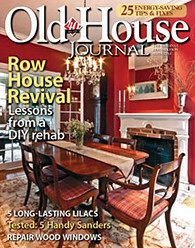 "(Our house is only 15" wide, so it's essentially our home without the hallway.)" YIKES! One foot three inches wide!?! Now THAT'S narrow! LOL, I know it's just a typo, but what an appropriate post for that particular mistake. Haha, yes, appropriate typo indeed! Thanks for catching that for us. Our house is 15' 6" to be exact. I love that the shutters actually fit and look like they close. It's a very important feature that's often left behind over time. Also, I love the way you write about Alexandria, it makes us more connected to where you and your house are.